THERE’S plenty to watch out for in Round 5 of the Women’s with the East Perth Eagles trying to win for the first time in two years to celebrate the 200th game of 47-year-old Fiona Heart while the Cockburn Cougars have two chances to build some early season momentum. 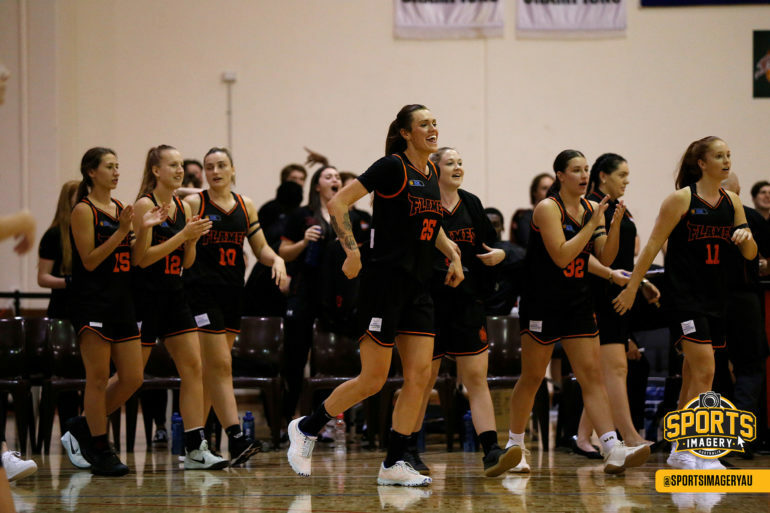 Those are only two things to look out for in Round 5 of the 2019 Women’s SBL season that begins with the three matches on Friday night at 6.30pm. 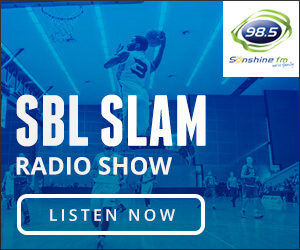 Those matches see the East Perth Eagles play the South West Slammers at Herb Graham Recreation Centre, the Lakeside Lightning take on the Willetton Tigers at Lakeside Recreation Centre, and the Cockburn Cougars face the Kalamunda Eastern Suns at Wally Hagan Stadium. There are another three matches on Saturday night with the Joondalup Wolves hosting the Perry Lakes Hawks at HBF Arena, the South West Slammers facing the Cockburn Cougars at Eaton Recreation Centre and the Warwick Senators facing the Mandurah Magic at Warwick Stadium. 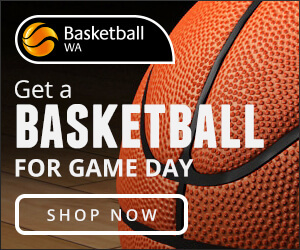 Round 5 then concludes on Sunday afternoon with the Kalamunda Eastern Suns playing the Joondalup Wolves at Ray Owen Sports Centre from midday. Friday night in the Women’s SBL includes East Perth hosting South West at Herb Graham Recreation Centre. The Eagles come into the game having lost 37 games in-a-row, but they have shown signs of more competitiveness in 2019 and are desperate to break that drought. The Slammers come into the game at 2-2 and having already beaten East Perth to open the season on their home floor by 22 points. The Eagles will have some added motivation with the 200th SBL game of 47-year-old captain Fiona Heart. Tanya Fisher is coach of East Perth and is a former teammate of the mid-1990s of Heart when they were with the Perth Redbacks together. She can’t marvel at her inspiration any more of what she’s doing at her age. “She’s the voice of stability and because she’s taken on the captaincy this year and moved into that, she’s the example and the one who eggs the girls on by telling them how old she is,” Fisher said. “She shows the example of how hard she works to make sure she doesn’t drag us down and she expects everyone else to do the same. She leads by example and sets a very high standard for herself and other people. 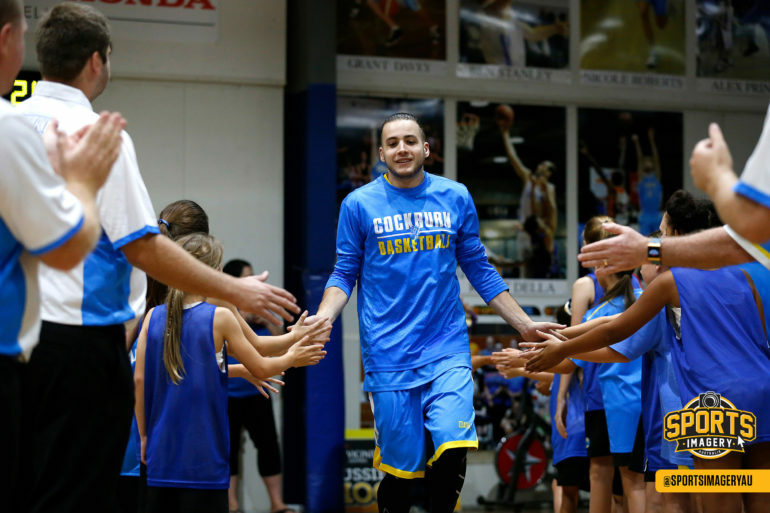 “She has an amazing rapport with the team as well and she’s incredibly well liked, and they all look up to her. It’s a completely different experience having her back as a player. The defending champion Lightning put their 21-game winning on the line also on Friday night hosting the Tigers at Lakeside Recreation Centre. Lakeside’s championship defence couldn’t have made a more emphatic start with the four straight victories including a 20-point thumping of the previously undefeated Lady Wolfpack last Friday night. 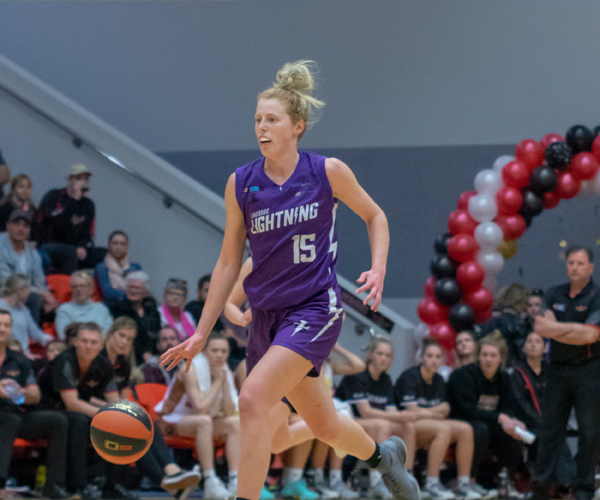 Willetton comes into the game with a 3-3 record and are coming off a loss to the Senators last Saturday night, but the Tigers are getting closer to the full strength now with the arrival of Laina Snyder who went for 12.5 points and 8.0 rebounds in her first two SBL appearances. The last encounter on Friday night sees Cockburn host Kalamunda at Wally Hagan Stadium. 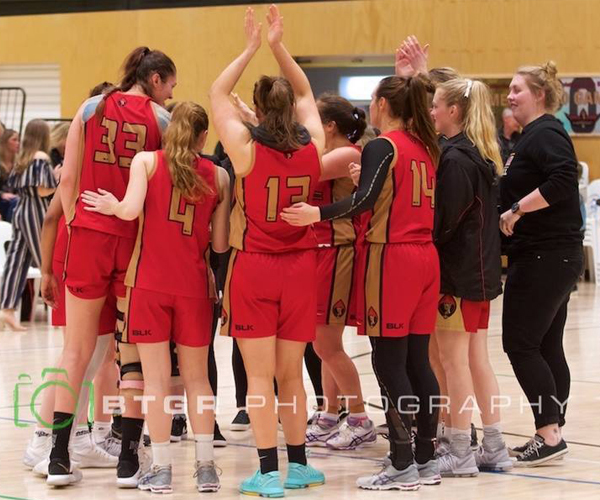 The Cougars have made a good start to the season winning two of their opening three matches but they’ve now had two weeks to stew over a 33-point defeat at the hands of the Rockingham Flames. But a 3-1 start would be seen as a great positive for the Cougars if the can get over the line on their home floor on Friday night. However, Kalamunda will be looking to build some of its own momentum coming off its first win of the season last Friday night over the South West Slammers. Saturday night’s Women’s SBL action begins with another tremendous match up as the Lady Wolfpack take on the Hawks at HBF Arena. Joondalup had won its opening three games of the season but suffered their first defeat at the hands of the Lightning to the tune of 20 points last Friday night. That means the Wolves will be looking to bounce back this Saturday night hosting the Lady Hawks who are building their own momentum winning their last two matches having lost their opening two of the 2019 season. The Slammers return home on Saturday night to Eaton Recreation Centre following their game against East Perth on Friday to take on the Cougars. Cockburn will have also played on Friday against Kalamunda on their home floor. The Senators and Magic will be fresh coming into their Saturday night meeting at Warwick Stadium in what shapes as an intriguing battle between two teams with a good start to the season. Warwick played their first home game of the season last Saturday night and beat the Willetton Tigers to improve to a 2-1 record with new import Samaria Howard making her debut and now ready to play a larger role this weekend. Meanwhile, the Magic are coming off playing in the past two Grand Finals and started 2019 winning three of their first five matches, but they are coming off a nine-point loss last Friday night on the road to the Hawks. There is then a game on Sunday afternoon at Ray Owen Sports Centre with Kalamunda hosting Joondalup. 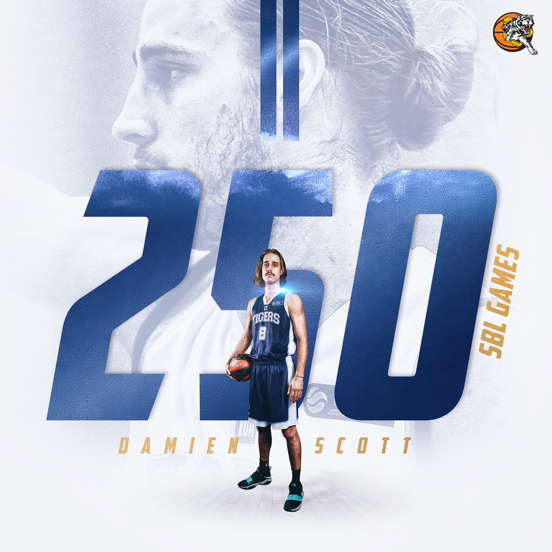 The Suns will have already played at Cockburn on Friday night with the Wolves coming off playing host to the Hawks on Saturday.